Are you ready to turn your TV into a real home theater?!? This baby adds a nice pop of ambient light around your TV or monitor screen to drastically improve your viewing experience. 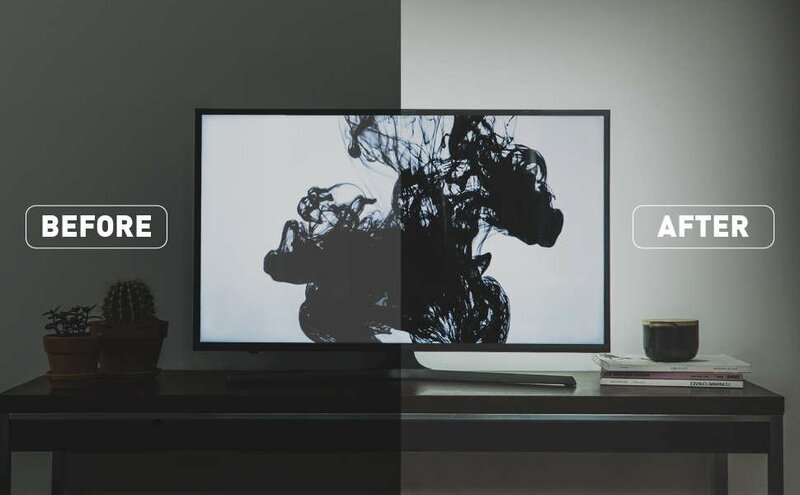 You'll see darker blacks, improved color contrast, and give your eyes some much-deserved relief during your next 6 hour TV show binge. best upgrade for any television or monitor. The Luminoodle TV doesn't just provide beautiful ambient lighting behind your screen, it also enhances your viewing experience so much that you’ll wonder what you did without it. Diminish the eye strain that you and your family experience while watching your favorite shows with a solution that will make your entire living room look sa-weet. The Luminoodle TV Backlight improves contrast ratios through a balanced white backlight. Watching TV in a dark environment affects the way our eyes react to light, and black looks more like gray. Turning on lamps in the room, however, results in glares on the TV screen. 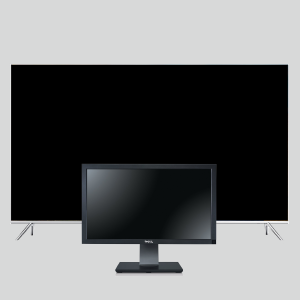 Illuminating your TVs background improves contrast levels by preventing grays and blacks on your screen from being washed out and improves the image on your screen without the need for light sources that cause a pesky glare. 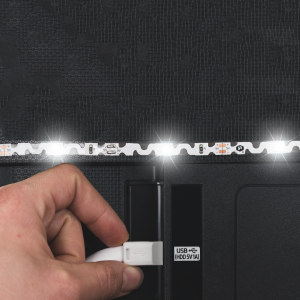 Install the Luminoodle Bias Lighting in minutes by securing it to the back of your screen with the attached heavy-duty 3m adhesive tape. Plug it into your television or monitor to have it turn on and off with your screen. If that isn't possible, the Luminoodle can be plugged into any 1A USB power source. There are four sizes to choose from that fit almost any size screen. 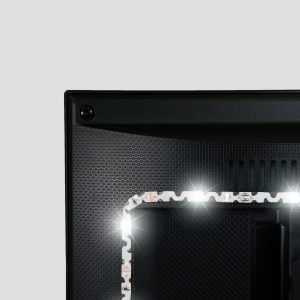 You even have the ability to trim the backlight LED strip down for the perfect fit, everytime.